Easy access from stations Center Kita, Kita Yamata and Suginuma. Parking spots available. 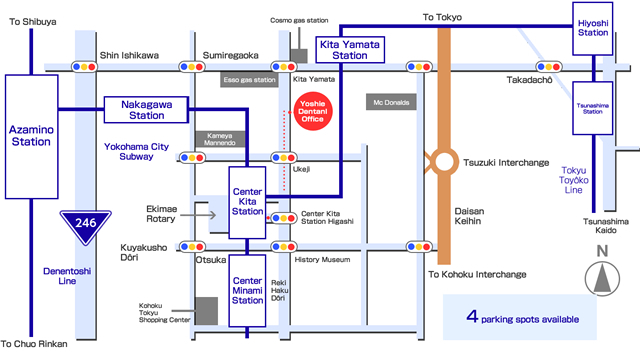 Yoshie Dental Office offers easy access from stations Kita Yamata, Center Kita, Suginuma and Tsunashima. 3-11-18 Kita Yamata, Tsuzuki-ku, Yokohama There are 4 parking spots available, 2 on the front- and 2 on the backside of the buidling. 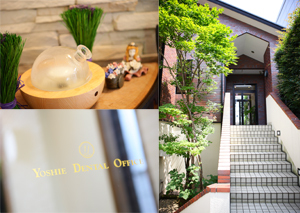 Yoshie Dental Office offers easy access from several stations. Some of the stations might seem more distant but offer easy access to our patients living further away.